Protect your home from extreme heat and cold, drafts, insects, or driving rain with a professionally installed Extreme Weather Pet Door. Available for dogs of all sizes. Make your life easier, and your pet’s life happier! 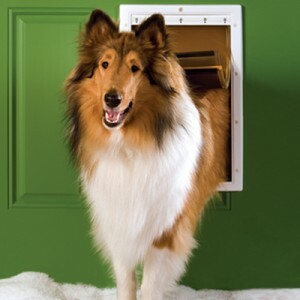 Avoid early morning and late night wake up calls and give your pet entrance to your house or garage in bad weather. Soyez le premier à laisser votre avis sur “Extreme Weather Pet Door – Professionally Installed” Annuler la réponse.